Buy this item and earn 6 points valued at $0.28. 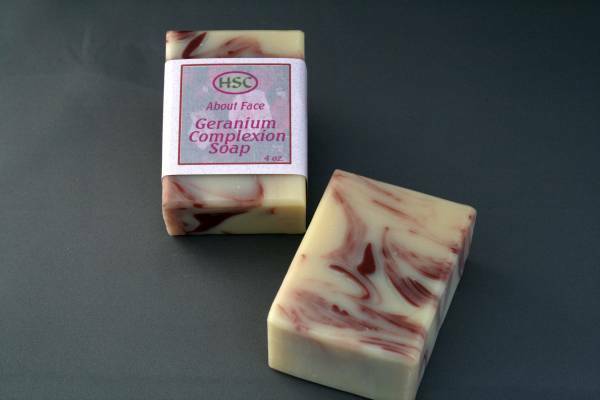 This gentle facial soap has been formulated with skin nourishing and vitamin enriched oils of calendula, rosemary and macadamia nut, as well as emollient shea butter and pure essential oils. 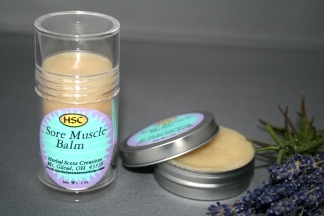 It is especially good for mature skin, but can be used for all types. Distilled Water, Saponified Oils of Olive, Coconut, Palm, Palm Kernal and Castor, Infused Oils of Calendula (Olive) and Rosemary (Safflower), Shea Butter, Macadamia Nut Oil, Essential Oils of Lavender, Geranium, Rosewood and Palmarosa, Rose Clay, Silk Fiber and Earth Oxide.